Among the free Microsoft Office Mobile apps on a Windows Phone 8 device is a version of OneNote, the remarkably versatile and Evernote-rivaling note-taking tool 5 Ways to Take Advantage of Microsoft OneNote 5 Ways to Take Advantage of Microsoft OneNote Read More that can handle voice transcription and sync notes across other devices – among other things! Back in 2010, when Windows Phone was first unveiled, an advertising campaign soon followed which demonstrated mobile OneNote’s sync capabilities. These are only the tip of the iceberg of what can be achieved with this flexible little app. Personally speaking, I use it for making notes on the fly, jotting down bits of overheard dialogue that I think might prove useful in any scripts I’m writing. It also proves useful as a way to manage an itinerary. Upon further investigation, however, it seems that there are many other ways to use Microsoft OneNote on Windows Phone 8 Windows Phone 8: The Complete Review Windows Phone 8: The Complete Review Question: how do you improve on perfection? Answer: you wait for someone else to have a go. A quick look around the smartphone market reveals that Apple’s iOS and Google’s Android operating systems are top... Read More . As with many Microsoft services for domestic consumers, OneNote mobile syncs wirelessly (using WiFi or mobile Internet) via your Microsoft SkyDrive account, the one that is attached to the Windows Live/Hotmail/Outlook.com/Xbox Live account you have setup on your Windows Phone. This means that there is no option to sync via USB cable connection with your PC. On the other hand, while this might seem like a shortcoming, it does mean that you can access your notes on any device that you have signed into, whether this is using the cloud version of OneNote or on a PC that you own with Office 2013 or 365 installed. You’ll find OneNote installed on your Windows Phone device by swiping to the apps list and scrolling down to O, where it is listed below Office. When you open the app, it will list display the last notebook you opened; if you’ve never used OneNote before on any platform, it will open a list of available notebooks (there are usually a couple of samples you can edit or delete). To create a new note, you will need to open a notebook, open the basic notes and tap New. While Windows Phone is pretty fast, this can still be a bit fiddly. A better option is to use the Pin new to Start option found in the menu of the Notebooks screen, as pictured above. The New note tile can be re-sized and re-positioned as required. Existing notes can also be pinned to the Start screen by opening them and using the Pin to Start option. In a new note, there are several things that you can do. The most obvious is to start typing on the Windows Phone software keyboard. Begin with a title (making the note easier to find later, although the search tool should also help with this), and proceed to create your note. It might be a list, or a single, brief line. The most important thing to be aware of is that you can add various elements into OneNote, using it in many different ways. For instance, the desktop version (available as part of the Office 2013 and Office 365 suites) is capable of converting scanned documents to text using OCR technology, something that has recently been added to search in Windows 8.1 SkyDrive Brings Smart Files With OCR Search In Windows 8.1 SkyDrive Brings Smart Files With OCR Search In Windows 8.1 With Windows 8.1, SkyDrive will be rolling out “smart files”, previously called placeholder files, complete with Bing-powered OCR search. Read More . While the mobile version doesn’t have this capability, you can still scan the documents with your phone’s camera (perhaps employing a DIY stand How To Build Your Own Smartphone Document Scanner How To Build Your Own Smartphone Document Scanner Have you ever tried to take a photo of a document with your smartphone camera, hoping to convert it using OCR software into a PDF or Word document later on? Perhaps you’ve attempted to take... Read More if your hand isn’t steady enough). Meanwhile, the fact that OneNote Mobile has the same keyboard and spellcheck functions as Word Mobile, makes it an excellent substitute for the word processor on your phone. 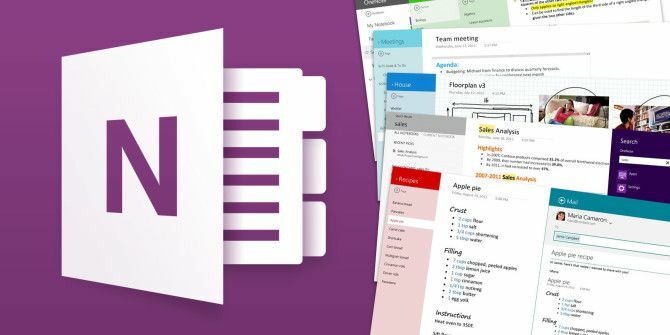 I’ve used OneNote to outline and write articles for MakeUseOf on several occasions. There are also various formatting options that you can call upon, from numbered lists to formatting (bold, italics, etc.) and highlighting. Perhaps the most powerful tool in OneNote on Windows Phone 8 is its ability to record voice notes – and then transcribe them into text! In a new note, tap the Audio button on the menu bar, and utter your note, tapping Stop when you’re done. 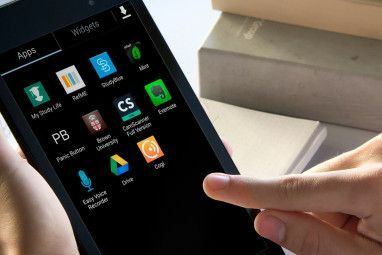 As long as your phone is connected to the Internet (transcription takes place on a remote server), a few seconds later a transcription of your note will appear alongside an embedded audio file. The note will be synced with any other devices that you have OneNote installed on. Note that you may need to be careful how you dictate your notes as there can be some delay while the audio is being transcribed. For the best results, you should add audio notes in short segments if you want them reliably transcribed. 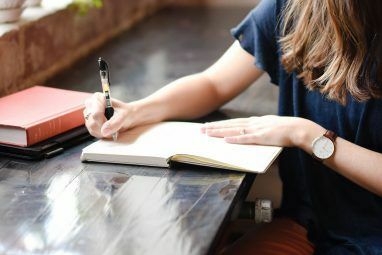 Although you might use the To Do list option for many other purposes, such as to mark your progress through a travel itinerary or through a series of daily tasks, it is perhaps best demonstrated using the shopping list analogy. Create a new OneNote note, listing each item on separate lines; using the To do menu item set each entry as an item to be checked off when complete. For longer lists, rather than convert each line one by one you can also tap and drag your finger across the whole list, ensuring all lines are selected, adjusting the placeholders if necessary and tapping the To do button once to add check boxes to each line in one go. If you’re online, the list can be added to by someone at home – perhaps your spouse who might be adding items to your shopping list! As noted above, scanned documents can be added to OneNote notes, and the app has a Picture button, signified by the camera icon, that you can use to import existing images and to launch your phone’s camera. Several images can be added to OneNote from your phone’s camera or Photos collection, and as with the rest of your OneNote notebook, the results will be synced to your computer via SkyDrive next time you launch the desktop app. OneNote 2010, 2013 and MX, a free app for Windows 8, ideal for devices with a touchscreen display, can be used to access synced notes. Conclusion: Fast, Flexible and Full Of Notes! There are, of course, more than five ways to use Microsoft OneNote on your Windows Phone – you’re limited only by your imagination and expectations. Whether you’re creating lists, adding images for annotation or OCR, recording audio notes, word processing or simply making good use of OneNote’s syncing capabilities, which you can force by opening the menu and tapping Sync, don’t forget that notes can be shared by email should you need to distribute them the old fashioned way (in an open note, expand the menu and tap Share…). Are you using OneNote on your Windows Phone? Tell us how you use it in the comments! Explore more about: Microsoft OneNote, Note-Taking Apps, Windows 8, Windows Phone, Windows Phone 8. Christian; I absolutely loved the Speech to Text feature you described. I've just not been able to get it to work. I record audio notes ever day, then transcribe them later, if the recording and the transcription are in the same note!!! I'll do what it takes to get that single tool.. New phone, new provider ..... no problem! This is a killer feature for Windows Phone, and could convert more users than one might believe. How about a video on the requirements and usage. Grundy, I completely second that idea.